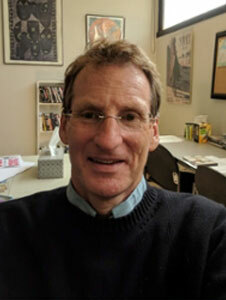 Home Profile Directory Timothy McGettigan Ph.D.
Timothy McGettigan, PhD, is a professor of sociology at Colorado State University - Pueblo. At present, Prof Tim is helping to establish an Institute of Cannabis Research at CSU-Pueblo. Prof Tim's research interests are in the areas of anti-racism, social change, and science, technology & society (STS). Prof Tim's most recent book, which he co-authored with Prof. Earl Smith, is titled, A Formula for Eradicating Racism (Palgrave, 2016). Prof Tim has a couple of new books in the works. One explores the new paradigm that is sweeping the globe. The other will explore the topics of free speech and thoughtcrime. Prof Tim is a Fulbright Specialist and he has been awarded Fulbright Scholarships at the Centre for Social Studies in Warsaw, Poland in 2002-2003, and at Mahidol University in Bangkok, Thailand in 2015.